Benny Wilding first discovered his love of the arts at the age of 12 in New York, in the mid-90s. 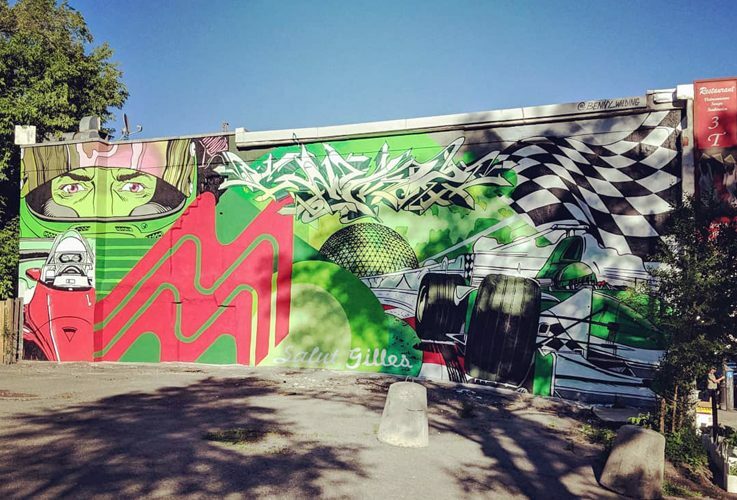 Impressed by the aerosol-painted walls that permeate the city which never sleeps, he returned to Montreal with the desire to assert himself in this new graffiti culture. Since then, he has indulged in his new passion in all its aspects, in his city and its surroundings. From the first day he began working with aerosol, his main focus was on his artistic development and all aesthetic and artistic aspects of street art, as well as creating large-format murals. Benny Wilding's works remind you of American pop art, seemingly inspired by comics, advertising and commercial lettering. The works often have surprising contrasts and constructed associations. A study of computer graphics and 3D animation is also undoubtedly reflected in his artistic approach.